Picking recommended ELISA Kits will save you time - yet all 124 products covered by our Money Back Guarantee! 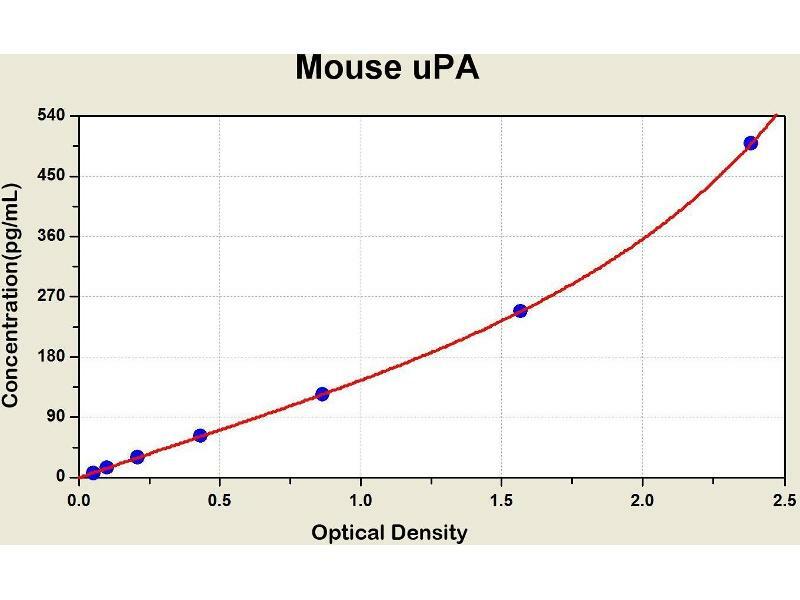 Diagramm of the ELISA kit to detect Mouse uPAwith the optical density on the x-axis and the concentration on the y-axis. 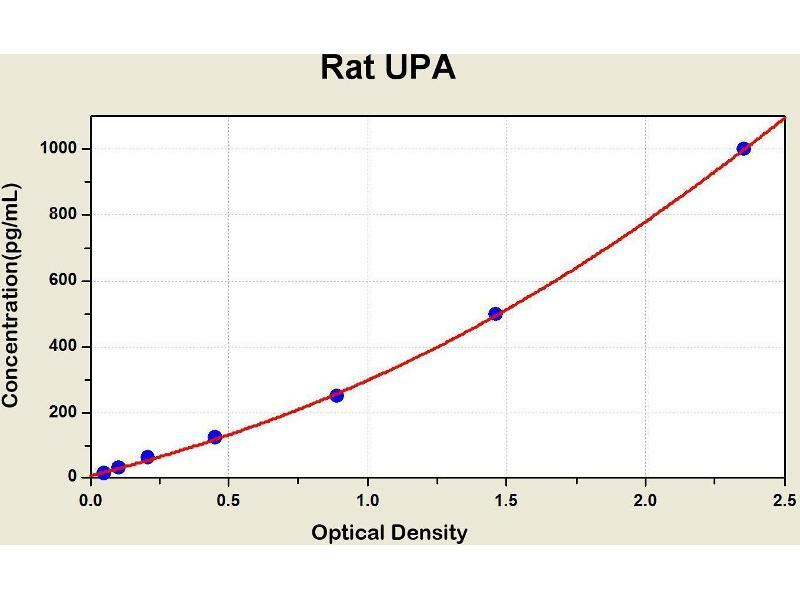 Diagramm of the ELISA kit to detect Rat UPAwith the optical density on the x-axis and the concentration on the y-axis. This gene encodes a serine protease involved in degradation of the extracellular matrix and possibly tumor cell migration and proliferation. A specific polymorphism in this gene may be associated with late-onset Alzheimer's disease and also with decreased affinity for fibrin-binding. This protein converts plasminogen to plasmin by specific cleavage of an Arg-Val bond in plasminogen. Plasmin in turn cleaves this protein at a Lys-Ile bond to form a two-chain derivative in which a single disulfide bond connects the amino-terminal A-chain to the catalytically active, carboxy-terminal B-chain. This two-chain derivative is also called HMW-uPA (high molecular weight uPA). 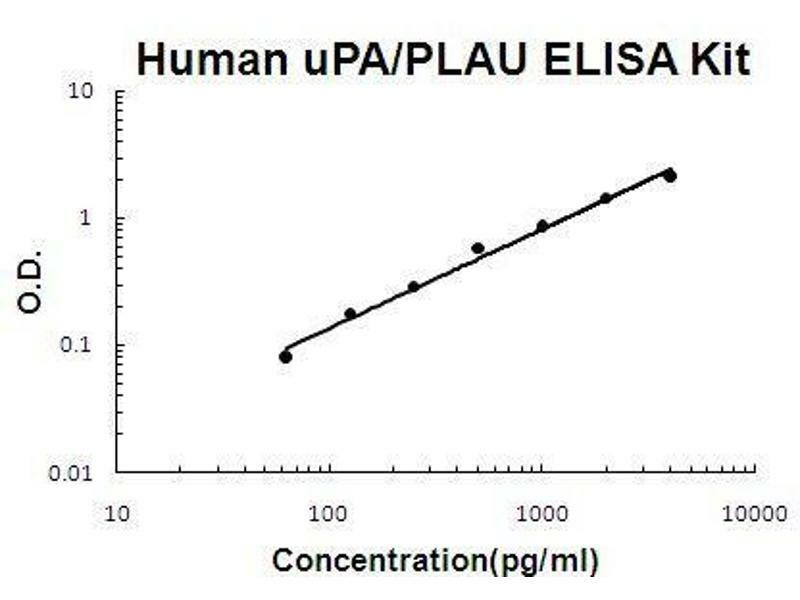 HMW-uPA can be further processed into LMW-uPA (low molecular weight uPA) by cleavage of chain A into a short chain A (A1) and an amino-terminal fragment. 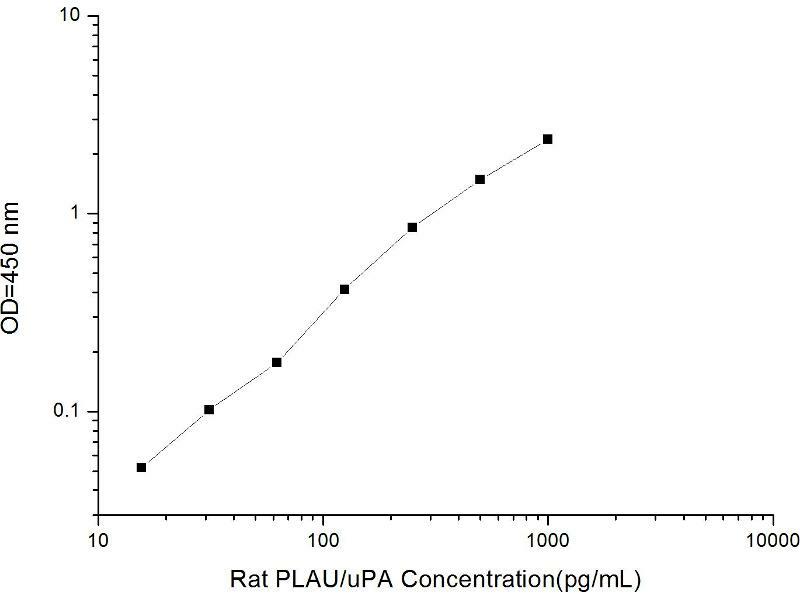 LMW-uPA is proteolytically active but does not bind to the uPA receptor. Alternatively spliced transcript variants encoding different isoforms have been found for this gene.